They needed a bounce back game. 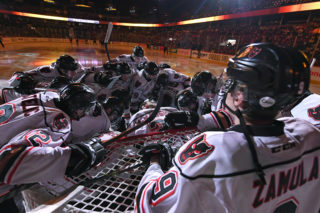 The Hitmen marched into Red Deer and thoroughly outworked the Rebels for a 5-1 victory over their division rivals. 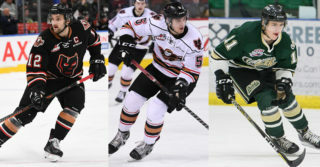 Mark Kastelic and Kaden both chipped in with three-point performances, Kastelic with two goals and an assist and Elder with a goal and two assists. Carson Focht and James Malm also scored for the visitors while Jack McNaughton made 23 saves in another strong game for the rookie goaltender. Red Deer saw their lone goal scored by Dawson Barteaux and Byron Fancy ended the contest with 33 saves. The Rebels would open the scoring first on the powerplay 12 minutes into the contest but the Hitmen made sure that was the last time. And on the other end, would score five unanswered goals. Things got started off three minutes into the second frame as Kastelic would score his first of the night on the powerplay when he took an Elder pass in the slot and fired a quick wrist shot past the Rebels goaltender. Just five minutes later with a mad scramble in front, a Rebels defender would try and swipe the puck away from danger but instead put it right on the blade of Focht who made no mistake on finding the back of the net. Over a minute later, Elder would add to the lead as Kastelic quickly passed the puck to Elder in the low slot and he fired it under the glove side of Fancy. The goal scoring party wasn’t over yet as Kastelic would pop home his team-leading 36th goal of the season when he would tip an Elder pass on a 5-on-3 man-advantage. 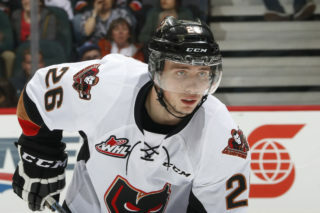 Four goals in the second stanza and the Hitmen would add another as Riley Stotts and Malm continued to work their magic, as they duo linked up with Stotts sending a no look pass cross crease to Malm who had a wide-open net to make it a 5-1 game. 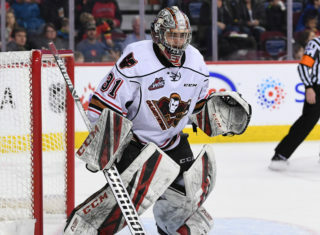 Defensively, the Hitmen shut down the Rebels with ease as they held them to just four shots on goal in the final 20 minutes and picked up the win in arguably the most important game between the clubs. With the win, the Hitmen move within two points of Red Deer for the first wildcard spot, and three points back of Medicine Hat for third in the Central Division. The victory extended their point streak to six games posting a record of 5-0-1 in that span and since Dec.1 they have gone 16-5-2-0. 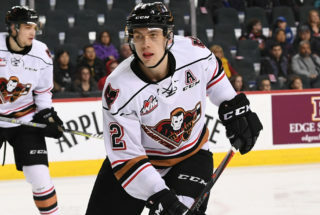 The Hitmen will head back home for the second game of the Corral Series presented by Adrenalin Source For Sports against the Regina Pats where the club will honour the Calgary Cowboys.